I’ve claimed for some time that quantum computing can be realized on a single processor Von Neumann machine and published a paper explaining the basic intuition. All that is necessary is to represent information using sparse distributed coding (SDC) rather than localist codes. With SDC, all informational states (hypotheses) represented in a system (e.g., computer) are represented in physical superposition and therefore all such states are partially active in proportion to their similarity with the current most likely (most active) state. My Sparsey® system operates directly on superpositions, transforming the superposition over hypotheses at T into the superposition at T+1 in time that does not depend on the number of hypotheses represented (stored) in the system. This update occurs via passage of signals via a recurrent channel, i.e., a recurrent weight matrix. In addition to a serial (in time) updating of the superposition, mediated by the recurrent matrix, the system may also have an output channel (a different, non-recurrent weight matrix) that “taps” off, i.e., observes, the superposition at each T. Thus the system can generate a sequence of collapsed outputs (observations) which can be thought of as a sequence of maximum likelihood estimates, as well as continuously update the superposition (without requiring collapse). But suppose that instead of thinking of a single graph as representing a single object, we think of it as representing a collection of objects. In this case, two graphs having a certain set of nodes in common (intersection), could be considered to represent similar world states in which some of the same objects are present and perhaps where some of the those objects have similar internal states and some of the inter-object relations are similar. Suppose that such a graph, S, consisted of a very large number (e.g., millions) of nodes and that a tiny subset, for concreteness, say, 1000, of those nodes corresponded to the presence of some particular object x. 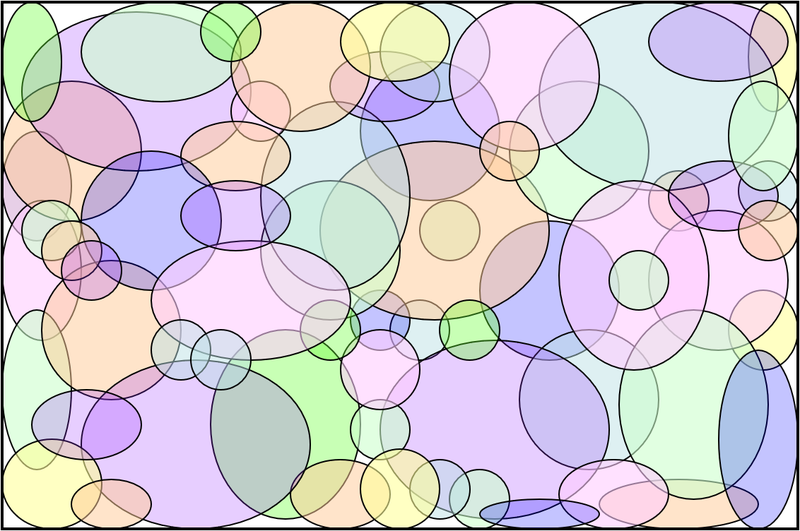 Then imagine another instance of the overall graph, S’, in which 990 of those nodes are present. We could imagine that that might represent another state of reality in which x manifests almost identically as it did in the original instance; call that version of x, x‘. Thus, if S is the current world state, and thus if x is present, we can say that x‘ is also physically present, just with 990/1000 strength rather than with full strength. In other words, the two overall states of reality, S and S’, can be said to be physically present, just with varying strength. Clearly, there is an exponential number of states around x that could also be said to be partially physically present. Thus we can imagine that the actual physical reality that we experience at each instant is a physical superposition of an exponentially large number of actual states, where that superposition, or world state, corresponds to an extremely diffuse graph, consisting of a very large number of nodes, living in a universe of vastly high dimension. In particular, this new theory obviates the need for the exponentially large number of physically separate universes that Everett’s theory requires. Any human easily understands the massive increase in space in going from 1-D to 2-D or from 2-D to 3-D. There is nothing esoteric or spooky about it. Anyone can also understand how this generalizes to adding an arbitrary number of dimensions. In contrast, I submit that no human, including Everett, could offer a coherent explanation of what it means to have multiple, physically separate universes. We already have the concept, which we are all easily taught in childhood, that the “universe” is all there is. There is no Physical room for any additional universes. The “multiverse” — a hypothesized huge or infinite set of physical universes — is simply an abuse of language. Slightly as an aside, this new theory helps resolve a problem I’ve always had with Schrodinger’s cat. The two states, “cat alive” and “cat dead” are constructed to seem very different. This misleads people into thinking that at every instant and in every physical subsystem, a veritable infinity of states coexist in superposition. I mean…why stop at just “cat alive” and “cat dead”? What about the state in which a toaster has appeared, or an eggplant? I suppose it is possible that some vortex of physical forces, perhaps designed by a supercomputer, could instantly rearrange all the atoms in the box from one in which there was a live cat to one in which there is the toaster, or the eggplant. But I think it is better to think of transformations like this to have zero probability. My point here is that the number of physical states to which any physical subsystem might collapse at any given moment, i.e., the cardinality of the superposition that exists at that moment, is actually vastly smaller than one might naively think having been misled by the typical exposition of Schrodinger’s cat. Thus, it perhaps becomes more plausible that my theory can accommodate the number of physical states that actually do coexist in superposition.